While also billed as a high-end desktop-replacement, the Neptune 3D is far more modest than its beefy big brother(EUROCOM Panther). 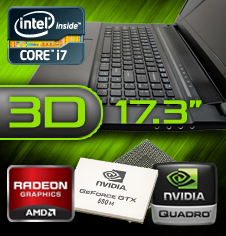 It’s based on a mobile Sandy Bridge CPU (Intel’s Core i7-2760QM) and a single mobile GPU (Nvidia’s GeForce GTX 580M). The Neptune 3D weighs less than nine pounds, but its defining feature is its 17.3-inch, 120Hz, 3D display. if you’re looking for a well-constructed desktop replacement with a sharp display, 3D capability, and strong all-around performance, the Eurocom Neptune 3D won’t disappoint. EUROCOM has been around a LONG time, since 1989. 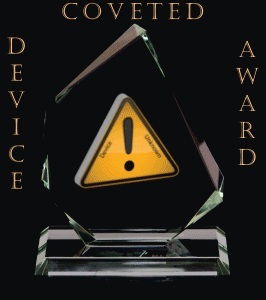 They focus on mobile technology for those of us that need reliable, rugged desktop replacements. I can’t be the only one dreaming of being able to replace my desktop with something that performs as well, and will LAST through all my travels. They are the first company whose products live up to their claims. I fell in love with this company because they guaranty everything, and better yet, they live up to it. VERY fast support, which you won’t need often for sure. Maybe that’s why support is so fast, because of their super high quality standards. So their support department just isn’t busy is my guess. EUROCOM Neptune is a 17.3-inch gaming rig, featuring the world’s fastest mobile GPU, the AMD Radeon™ HD 6990M (optional) or the AMD Radeon™ HD 6970M GPU (optional).1 An ideal platform for the gamer that demands the best available mobile technology with a ton of connectivity options as well as RAID 0/1 capability for added performance or redundancy.